Yesterday, Google announced they were killing authorship via a G+ post by +John Mueller who is a Webmaster Trends Analyst for Google. Right behind it, +Eric Enge and +Mark Traphagen, both of Stone Temple Consulting, and SEO gurus, released a post about it on Search Engine Land. Both posts gave explanations for the demise of authorship, but you have to read between the lines to find the real reasons authorship failed, and what’s next for SEO, and why it matters. Google instituted authorship markup in 2011 as a way to help identify the original author of published content. The idea was to use a G+ profile as a verified digital identity and link it to blog posts that author wrote, no matter whether it was on their site or elsewhere online. The perk of giving the verified author a mug shot next to their post in SERPs was used to encourage adoption. But the real reason Google started authorship was to help them identify spammy content from bogus authors or folks trying to game the system, and penalize it so that it did not rank higher than higher quality content that had more authority. In other words, authorship was never about the author. It was about Google’s ability to serve up better search results. It stupefies me how Google consistently gets in their own way of making something work. And yet, they make it seem like we’re not cooperating with them. Here are a couple of examples of that. This is one of the reasons that Mueller gave for why authorship was working. Okay, let’s have a look at that statement. Google makes it difficult to implement authorship. Then Google complains of low adoption rates. Me and a few other folks quickly added tutorials for how to setup AuthorRank and profited handsomely from Google’s mastery of taking the simplest thing and making a convoluted mess out of it. In fact, that’s how Mark Traphagen and I met. He was a rising star at that point, mainly over this topic. He sternly corrected me for using the term AuthorRank. I kissed his ring and told him that he was the guru, and he had to use the correct term of authorship. I was a solo entrepreneur trying to help other folks like me, and I used any damn word I needed to so folks could find the tutorials. Come on, that’s good SEO on keyword for crying out loud! At least I’m white hat about it. He understood, patted me on the head, and we’ve been on good terms since. And he has been the level voice of reason I’ve gone to for help reading between the lines on every message Matt Cutts put out about authorship. Because they really wanted to give authorship a good experimental run, Google decided not to make it easier for more sites to integrate authorship. Instead, Google decided that it could do a better job of just guessing who the real author was. That “led to many well-publicized cases of mis-attribution, such as Truman Capote being shown as the author of a New York Times article 28 years after his death,” as cited by Enge/Traphagen. That’s the second reason Mueller gave for getting rid of author photos from Rich Snippets in search. That’s what he said. This is what it means. End users – that’s what Google cares about. Google’s aim has never been, and never will be, helping you promote your business. Their goal is to deliver high quality to search to those who use Google for that purpose. And now, more end users are doing those searches on mobile devices, specifically cell phones. Images take up precious screen space and bandwidth. It’s more important for Google to show a title and a description than an image of an author or even an image of a video. Titles matter more in search. Mueller is the analyst who watched the data for Google and compared click rates to SERPs with and without authorship snippets. According to him, images in Rich Snippets lost their value. Because search has become personalized, you are still likely to see the author image next to the post of someone in your G+ Circles or Gmail contacts in search. We don’t know how much longer that will last. At least for now. Tomorrow, who knows? 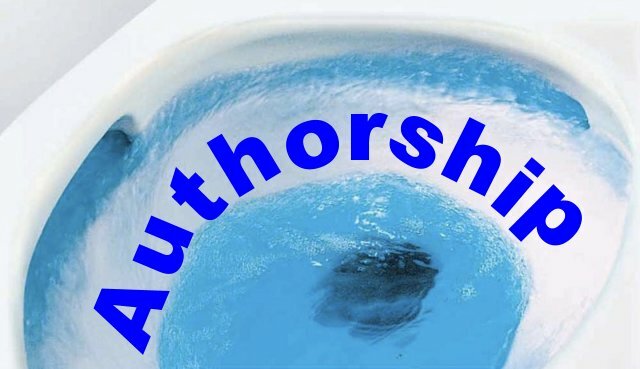 If you have authorship connected, leave it that way. If you don’t have it connected, maybe you want to do it because Google could always change their minds, again. Or, maybe you’ll leave well enough alone and go do the more traditional promotional routes of getting the content you create found. Every platform changes how it works and the perks or penalties they give. If you’ve been in the online promotion game long, you’ll remember the rise and fall of Facebook business pages, the introduction of Pinterest and the subsequent whirlwind of adoption. And on and on. When I moved my business and content from a “me too” follower to “cutting edge” thought leader philosophy adopter, and I started chasing cheese earlier rather than later, I started making more money. Systems will come and go. Making the most of them while they are here is key. There will always be perks and pitfalls on every platform. Ways that work super for one business type will fall flat for another. You have to capitalize on the cheese that make sense for you, your business, and your audience. The demise of authorship was slow. Before it completely went away, Google started giving perks sites with semantic markup, and they still are. They’re also giving perks currently to sites that can capitalize on publishership. Yeah, I quoted him many times in an attempt to get more folks to jump on the authorship bandwagon and get some easy Google juice in the bargain. I certainly made more money from having that perk and encouraged others to do the same. I’ll still be setting up new sites with it – because I can, and Rich Snippets are still showing, at least a little. And lots of folks, maybe even me, will make it sound like it’s the most important thing on the planet. I will if it makes me money and helps my clients make money with their site. Oh yes sir, you bet! That is THE bottom line, right? So, those of us who tried to do what Google said may feel ripped off or betrayed or such. Google does what’s good for Google. If you help Google do that, you’ll be rewarded for as long as that perk is available. Same with other platforms. So, quit lamenting the death of authorship and get on board with whatever new thing makes sense for your business.